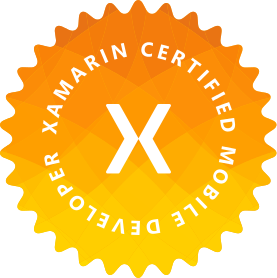 In Xamarin cross-platform world, plugins and libraries are abundantly available and used, which is a good thing since we do not need to reinvent the wheel in most cases i.e. Settings, Location, Permission, etc., can be handled by using a reliable plugin (like those from Xamarin) or other well supported libraries. Some provide an abstraction (interface) to be used to get the implementations, others do not. So, let’s see how we can inject both of these types of libraries or plugins. Note: For simplicity, I am going to lump ‘Plugin’ and ‘Library’ into ‘library’, and ‘Abstraction’ and ‘Interface’ into ‘interface’. If your ViewModel is using this, then while unit testing, you would have to somehow get to the Log(), which is challenging. By abstracting away your static library, you decoupled your code and made it future-proof. You can swap out the implementation anytime without impacting your code as long as you conform to ILoggerWrapper. Have questions, comments? Leave them below. Enjoy!